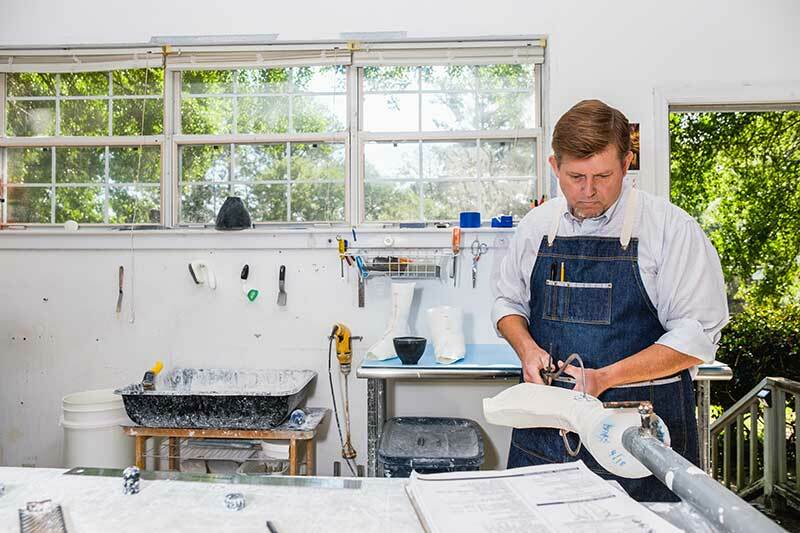 Damon Victor runs Victor Technologies, a lab in Tallahassee that custom-builds orthotics in collaboration with local practitioners. In March of 2014, he was days away from getting on a plane for Crimea to help an orphanage open a prosthetics laboratory. Then Russian troops invaded the country, and Victor and the other volunteers working for Med Assist USA Foundation for Children had to pivot to working in a safer area of the world. “(Med Assist) was working in Crimea for over a decade, but the invasion thwarted our chance to make a prosthetic laboratory there,” Victor said. Months later he traveled to Costa Rica, where, with the help of a Rotary Global Grant, he helped distribute “Matrix system” wheelchairs with custom-molded seats for children. “The children who (use these) can’t use regular wheelchairs. It’s a life-changer for these families, for their children to have mobility,” Victor said. He has returned to the country on successive trips, sometimes joined by his wife, Rory Krivit. By the time Victor departed, the boy had been fitted with special shoes and orthotics. As a teenager, Victor was approached by the U.S. Navy to work as an engineer. But at age 18, he met a group of wounded veterans at a party who encouraged him to use his interest in technology to help others. He learned to fabricate prosthetics and orthotics from a master technician working in Havana. Twelve years ago, he started a shop of his own, Victor Technologies, and has a small, local client list. “Here in America, for the most part if a child needs a leg brace or a prosthetic, he or she can get it. That’s why I focus my charitable work internationally,” he said. Tallahassee, and digitally sent the files back to Lviv to be 3D printed by a technician. Orthotics printed using 3D technology are less durable than traditional devices, but they are also less expensive: a big benefit for a pediatric population that grows out of them quickly. “The health system (in Ukraine) is trying to catch up to the rest of the world — it’s like how for communications in some countries, they bypassed landlines and set up cell phone networks. (With this technology) it can be easier to make a prosthesis in places where it’s tough to do a traditional fabrication,” Victor said. Victor’s trip to Ukraine has caused him to shift his focus. “(Helping people) isn’t about a room full of machines. It’s about the people. At every country I’ve been to, they’re hungry for training. “I want to use the power of Rotary to apply for grants and vocational training trips to the United States for Ukrainians, Ecuadorians and Costa Ricans. Once they get the proper training, they’ll be better equipped to start labs of their own,” he said. In April, Victor began working out of a lab at Tallahassee Community College’s Center for Innovation, space that helps him continue his research on 3-D printing, prosthetics and orthotics. He hopes to work with students on these projects and on experimental devices and equipment for people with disabilities. Children worldwide have capable champion in Damon Victor — and he wants to be able to help more of them.